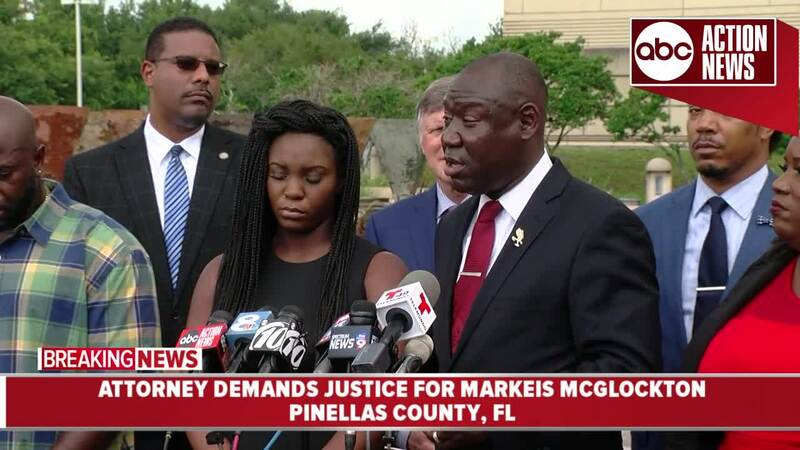 CLEARWATER, Fla. — National civil rights attorney Ben Crump, who represented the family of Trayvon Martin in arguably the most famous "stand your ground" case ever, will represent Markeis McGlockton's girlfriend. McGlockton's death sparked a national debate over Florida's controversial law. On Thursday, Crump, his team, and family members of McGlockton, 28, gathered to demand justice. 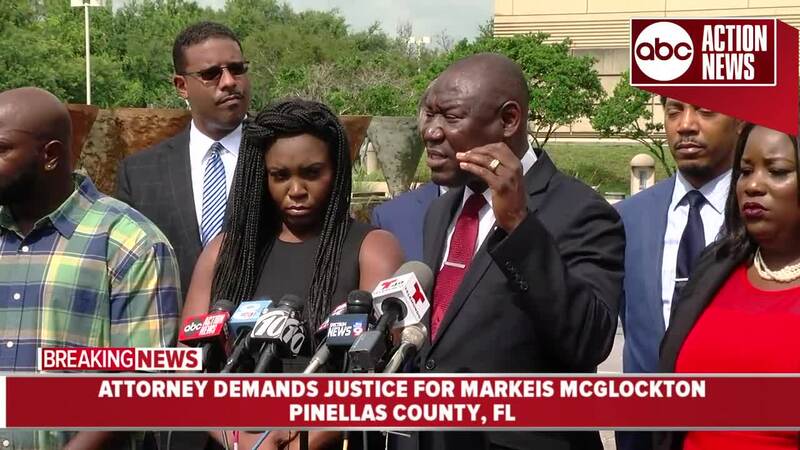 "We are here to demand justice for the cold-blooded murder of Markeis McGlockton by the self- appointed, wannabe cop Michael Drejka. Make no mistake about it, this was a cold-blooded murder that was witnessed first hand by Britany Jacobs and Markeis' three young children," Crump said. 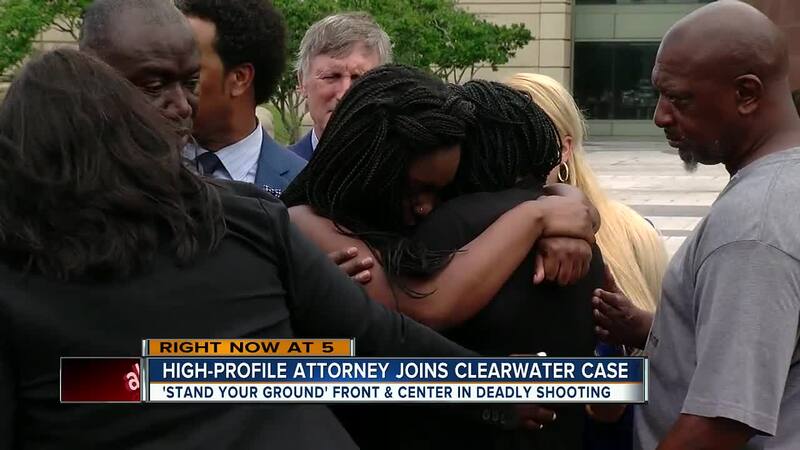 Crump described McGlockton's death as the latest in a long list of "stand your ground" incidents — naming the cases of Trayvon Martin in Sanford and Corey Jones in Palm Beach Gardens. "It is an epidemic. These wannabe cops initiated the confrontation and shot and killed in cold blood these unarmed, black men and then they both were allowed to go home and sleep in their bed that night," Crump added. Crump insisted Thursday that McGlockton's case is different from Long's or Martin's for one reason: There is video of the encounter. Crump says the video speaks for itself, showing Michael Drejka as the initial aggressor, who approached McGlockton’s girlfriend after she parked in a handicapped parking spot outside the Circle A Convenience Store in unincorporated Clearwater. “It’s ludicrous you can claim you have fear of your life but yet you approach and start the confrontation,” Crump explained. Crump believes race played a big role in both the McGlockton and Martin cases, claiming if the shooter was a black man, it would have a different outcome. 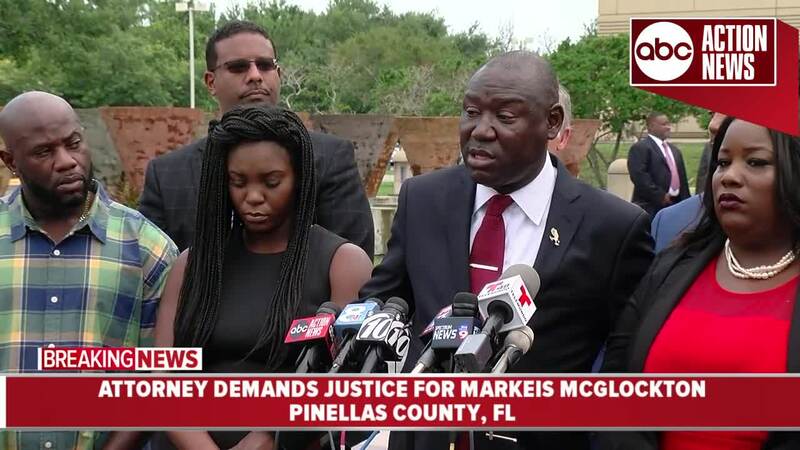 Michael McGlockton, Markeis' father, pushed back tears as he addressed the crowd of reporters Thursday. "All my son was doing was protecting his family. Any man out there would have done the exact same thing," the elder McGlockton said emotionally. 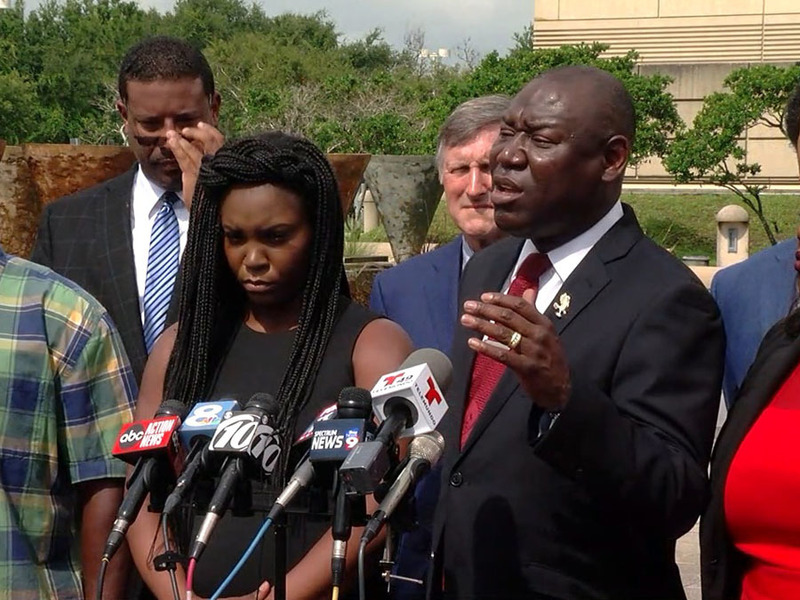 Crump and McGlockton's family are begging state leaders to amend the stand your ground law so that the person escalating the violence cannot claim immunity. “At least have the audacity to say we as a legislature are going to speak to this obvious miscarriage of justice," Crump added. Drejka told Pinellas County Deputies he was afraid for his life after McGlockton pushed him hard to the ground. ABC Action News has tried repeatedly to get his side of the story but we have not been able to reach him. The State Attorney’s Office says the Pinellas County Sheriff's office has not turned over the case yet. They expect to receive it by next week. McGlockton’s funeral service is scheduled for Saturday. Crump previously represented the family of Trayvon Martin, a 17-year-old African American teen from Miami Gardens, Florida, who was fatally shot in 2012 by George Zimmerman. 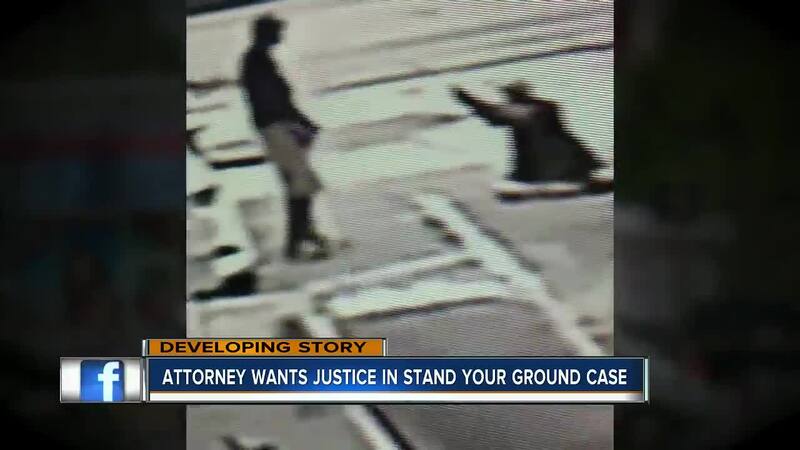 Zimmerman, injured during the encounter, claimed self-defense in the confrontation and was not charged at the time under the stand your ground law. Eventually, Zimmerman was acquitted of second-degree murder and manslaughter. Martin's death sparked the national Black Lives Matter Movement and put the controversial stand your ground law under a microscope. 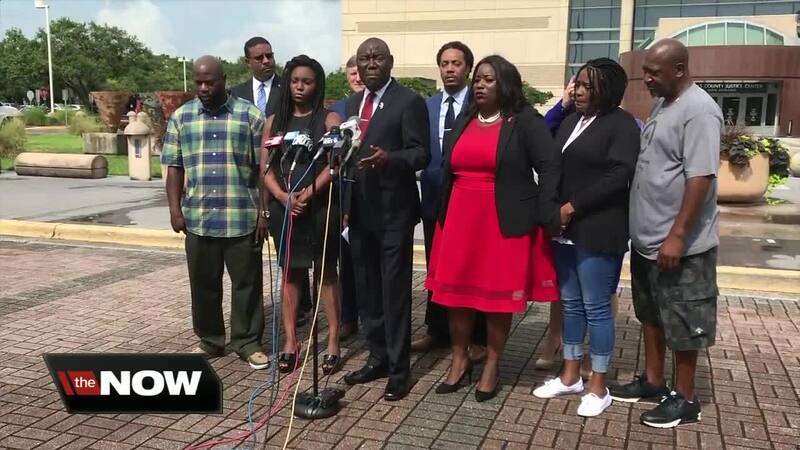 Crump also represented the family of Corey Jones, an African American musician who was shot by a police officer in plain clothes while waiting by his disabled car in Palm Beach Gardens. The shooter, Nouman K. Raja, attempted to claim stand your ground immunity in court. On June 1, 2016, Raja was charged with manslaughter and attempted murder.